I got to try something new today for the first time ever. I've always wanted to try it. 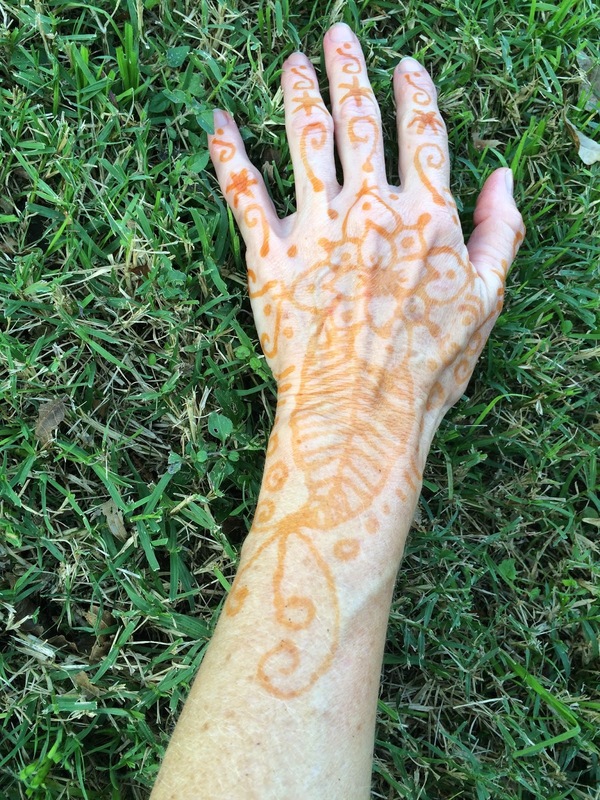 So when a lovely friend invited me to a henna party, of course I said, "YES!!" While my work is super far from perfect, there are things I wish I could go back in time and change, and likely no one else would want to be stuck with this flawed work on their hand for a week or two, I'm super satisfied and will sport it with pride. A little while after I'd applied the henna...it's starting to dry and flake off. After all the henna was washed off. Beautiful. Love it. So glad you tried it. I want to keep doing it, too. After this one fades I'll do it again. My first effort is pretty sloppy, but I know I'll improve. What a lovely art form...I feel it at my core. Love to you, Prerna!